Barbara Ransby received her B.A. from Columbia University in New York City and her Ph.D. in history from the University of Michigan. She is a writer, historian and long time activist. She is author of two award-winning books: Ella Baker and the Black Freedom Movement: A Radical Democratic Vision (University of North Carolina Press, 2003); and Eslanda: The Large and Unconventional Life of Mrs. Paul Robeson (Yale University Press, 2013). She is also author of a third book: Making All Black Lives Matter: Re-imagining Freedom in the 21st Century (University of California Press, August 2018). The Ella Baker book was the recipient of 8 national book awards and recognitions including the Liberty – Legacy award from the Organization of American Historians, and the Joan Kelly prize from the American Historical Association. 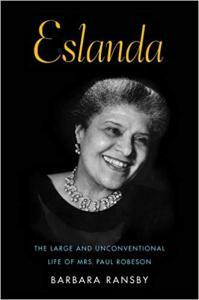 Eslanda was the recipient of the Letitia Woods Brown Memorial prize for the best book in African American women’s history in 2013. Dr. Ransby is currently Distinguished Professor, in the Departments of African American Studies, Gender and Women’s Studies, and History at the University of Illinois at Chicago (UIC) where she directs the campus-wide Social Justice Initiative, a project that promotes connections between academics and community organizers doing work on social justice. Dr. Ransby is editor in chief of Souls journal and serves on the editorial working group of the London-based journal, Race and Class. She is also President, National Women’s Studies Association (2016 – 2018). She publishes regularly in various publications including DISSENT, In These Times, Colorlines, and the Boston Review. She had a recent editorial in the New York Times on the Black Lives Matter Movement. She is a member of the Board of Directors of the Woods Fund of Chicago.